South Street Seaport’s Pier 17 as you see it has been torn down, one of the 100 year old German ships The Peking will be scapped – along with it…any atmosphere that bespeaks the sea. The old buildings are boarded up and ruined from hurricane Sandy and no one has the money to repair them. What will replace it? A shiney big glass box and super high rise. It is an utter destruction and wipe out of New York City’s grand seafaring history. 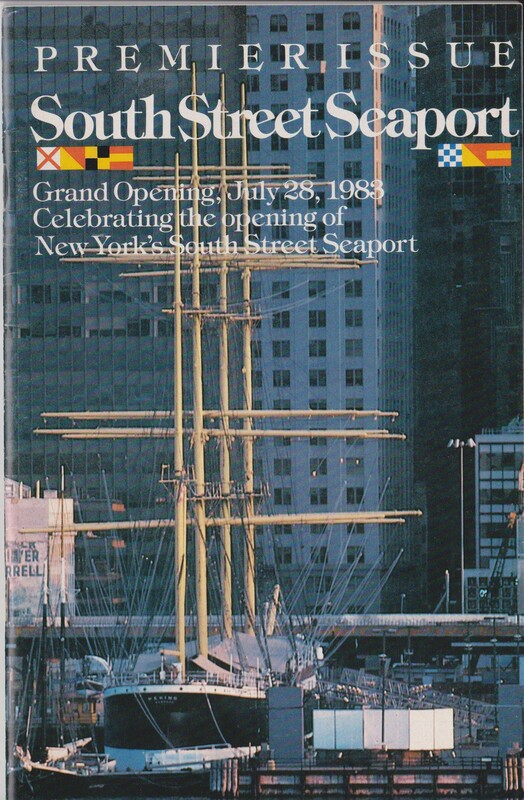 Mondays on Memory Lane: SOUTH STREET SEAPORT, A PROUD VON RITTERN HERITAGE – In 1983 my mother was the private assistant to Clifford Day Mallory of the Mallory’s of Mystic. It is the Mallory family that established Mystic Seaport in Connecticut and has 3 museums named after them there. 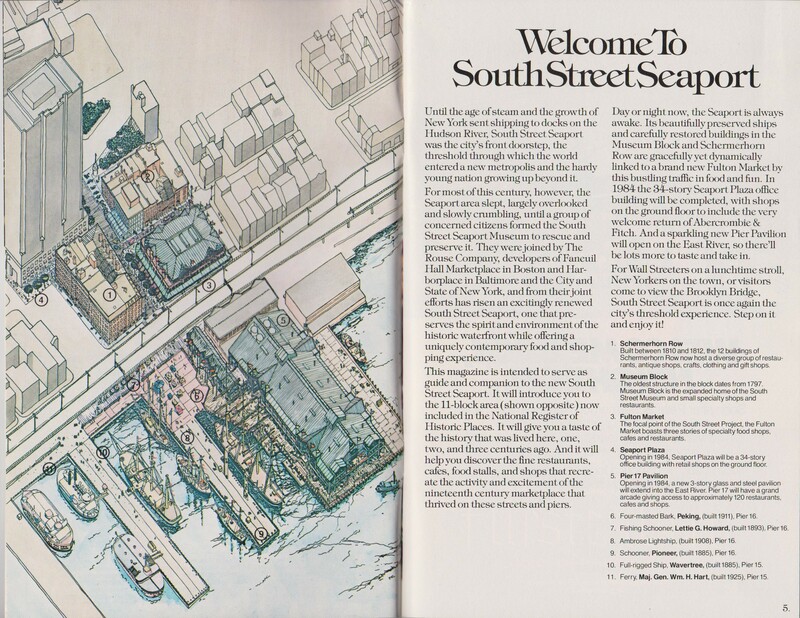 As a proud New Yorker Mr. Mallory greatly believed in preserving the sea faring heritage in New York’s harbor and helped establish South Street Seaport. Mr. Mallory and my mother Ursula worked with Frank O. Braynard one of the founders of South Street in arranging the design, funding and publicity. They even elicited the help of famed oceanographer Jacques Cousteau. For my mother, working on this project was a matter of great pride in her heritage – my great, great and great grandfathers were sea mrchants, traveling to the far east and Africa to bring back riches to Germany. (My grandmother had the only pineapple anyone had ever seen in 1905 Hamburg, Germany!) Therefore opening day on July 28, 1983 was a proud day for our family and for New York. 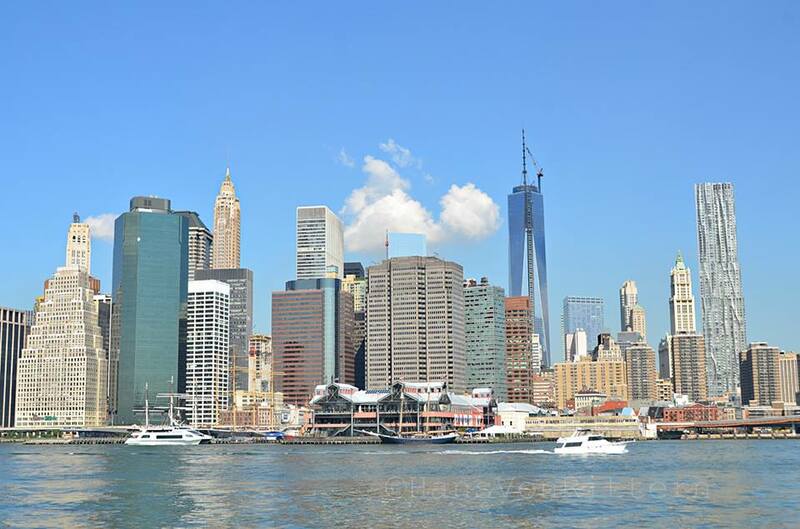 It is today, thirty years later, that is a horrible unthinkable day as Pier 17, the steel pavilion that has greeted millions of visitors since opening day, will be torn down thanks to developer greed aided and assisted by our destructive Mayor Bloomberg. A modern sleek glass box soul-less shopping mall will replace it. He has destroyed more historical districts through zoning variances and under the table deals during Bloomberg’s term in office than with any other mayor in this city’s history. He has done more damage than 911. His crony and ambitious puppet councilwoman Christine Quinn wants to be voted in as Mayoral candidate in our local primary tomorrow. ANYBODY BUT QUINN – HELP SAVE NEW YORK !